Marvel Boss Kevin Feige gave a positive update on the Guardians of the Galaxy Vol. 3 status. Feige answered questions about the Marvel Cinematic Universe on the Golden Globes red carpet, ranging from the success of Black Panther to a possible Silver Surfer movie with Adam McKay at the helm to James Gunn taking on Suicide Squad 2 for the DCEU. But, one of the more interesting tidbits came when Feige was asked about the recently canceled Guardians of the Galaxy 3. 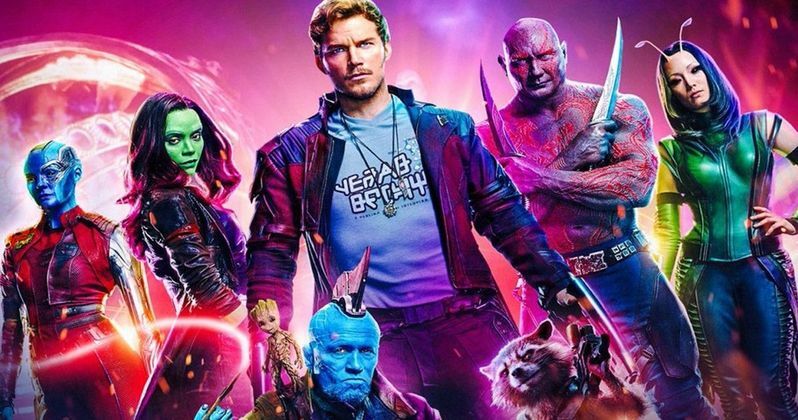 James Gunn was fired from Guardians of the Galaxy 3 over the summer after some of his old inappropriate tweets were unearthed. Disney swiftly fired him, leaving the third movie in the trilogy up in the air. For a while, it looked like Marvel Studios was actively looking for a replacement for Gunn, but it was later revealed that the movie had been placed on hold indefinitely. When asked about the next Guardians movie, Kevin Feige offered a small, but positive update, stating, "Guardians will happen. When, where, how? For a later time." It's good to know that Guardians of the Galaxy 3 is still going to happen. Whether or not they use James Gunn's original script is a whole other question. Nebula actress Karen Gillan recently revealed that a script was in existence and that she was looking forward to working on the third and final installment. Other than that, everybody seems to be moving on with their lives and waiting for an update from Marvel Studios as to when shooting will take place. The movie was supposed to begin filming early this year. Kevin Feige also briefly talked about James Gunn and the DCEU. MCU fans have been hoping that Gunn will be brought back to the fold in the near future, but it doesn't appear like that is going to happen. Disney is holding strong and Gunn is moving on with his career, taking on writing duties for Suicide Squad 2. Feige had this to say about Gunn and the DCEU. "I went to see Aquaman last night and I really, really enjoyed it. And you know me, I've always supported (them). I don't see a rivalry, I see cool films being made. And one thing you know about James Gunn, he makes cool films." Kevin Feige offered a small update, but it's the best official news that we have received about Guardians of the Galaxy 3 in quite some time. It's going to be interesting to see how everything falls together in the end and who ends up directing, along with which script they decide to go with. Whatever the case may be, it's clear that Feige and Marvel Studios aren't going to make a quick decision in order to rush the movie out. They're going to take their time to make sure that everything is just right. You can check out the rest of the Kevin Feige interview below, thanks to the MTV News Twitter account.